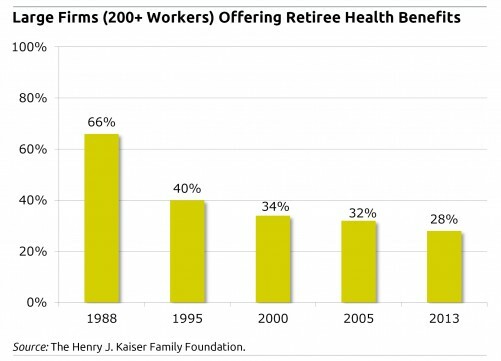 Retiree health benefits are a luxury item. 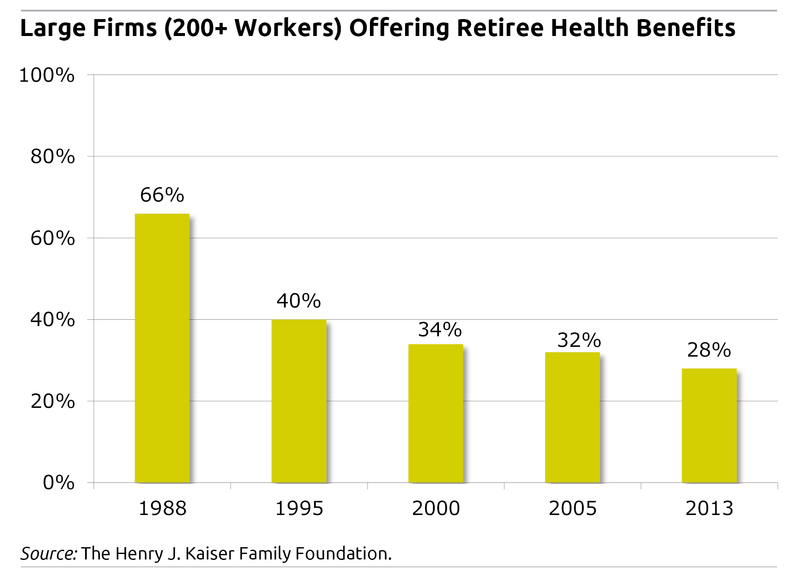 In 2013, just 28 percent of government and private-sector employers with more than 200 employees offered health benefits to their retiring workers, down from 66 percent in 1988, according to the Kaiser Family Foundation. These plans are popular with workers, but their declining prevalence has a silver lining. A long history of research shows that people who can retain their employer health benefits if they retire tend to retire earlier, confident they’ll be insulated from extraordinary medical expenses that could wipe out their savings. Waiting to claim Social Security is good for retirees’ financial health – none more so than the U.S. Latino population. This message is delivered in Spanish in the above video, “El Seguro Social: Vale la Pena Esperar.” The video was produced by the National Academy of Social Insurance, a policy research non-profit, and Squared Away found it on the website of Latinos & Economic Security. Latinos & Economic Security, which is part of UCLA’s Center for Policy Research on Aging, said Latinos make up 7 percent of the U.S. population age 65 and older. But due to their lower incomes during their working years, Latinos are more reliant on Social Security than are Asian-American, African-American and white, non-Latino retirees, the organization said. Older people often wonder why young adults get tattoos that they’ll later want to remove. Sudden changes in older workers’ financial expectations for retirement can cause depression, according to a 2011 study. The study, which came out of the Netherlands, suggests that cuts in Dutch pensions, announced on very short notice, produced feelings of differential treatment and a loss of control that increased the incidence of depression among the workers who were adversely affected. Workers were tested for depression two years after a 2006 pension reform reduced the share of their salaries replaced by the government-mandated defined benefit pension plans provided by employers. State and local government workers have long felt their pensions were more secure than the vanishing pension coverage in the private sector. But a spate of changes to cost-of-living protections should give them pause. 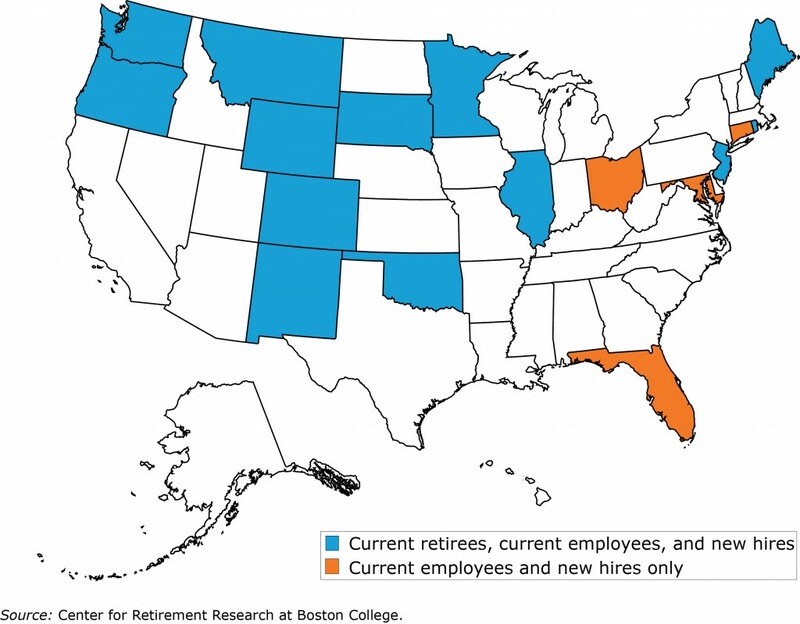 In the wake of the Great Recession, 17 states reduced, suspended, or eliminated cost-of-living increases (COLAs) in their defined benefit pensions for state and local workers, according to a recent summary of legislative actions around the country by the Center for Retirement Research, which sponsors this blog. And the courts are backing them up, deciding that the inflation protections – a fixture of the majority of public pensions – do not have the same constitutional or other legal protections that apply to core benefits. The COLA changes, enacted to reduce government pension liabilities, generally affect both current retirees’ benefits and the future retirement benefits of active employees. Are people who claim their Social Security retirement benefits when they’re 62 too sick or impaired to work? Fast forward three years, to when these early claimers turn 65. They’re about as healthy as those who decided to wait until age 65 to start receiving their Social Security retirement benefits, according to preliminary findings from a study using Medicare spending data as a proxy for health. The early claimers are also far healthier than people who left the labor force early to go on federal disability. Dementia is a critical personal finance issue when so much is at stake in managing, investing, and spending one’s lifetime savings. But one study found that, in the vast majority of older couples, the person in charge of managing the household finances continues to do so after dementia sets in. Dementia can be difficult to perceive in oneself or a spouse or parent, because changes are usually so gradual, psychologists say. Individuals can now get a rough assessment of their own or a loved one’s cognitive abilities with a test posted on the website of Ohio State University’s Wexner Medical Center in Columbus. Spokeswoman Elaine Scahill said more than 900,000 people have downloaded the test since it went online in mid-January as a public service.